If you ask 10 Jews the best way to make chicken soup, you’ll most likely get 11 different responses. That’s how that joke goes, right? We decided to bring this question — how do you make the best matzah ball soup — to two very experienced, but very different, Jewish cooks to see how they each approach the iconic dish. Peter Shelsky is a chef based in Brooklyn who owns Shelsky’s Appetizing and Shelsky’s Bagels. He takes a thoughtful and methodical approach to all the food he serves, including his chicken soup. His star ingredients? Chicken feet and lamb bones for the soup and duck fat for the matzah balls, which he says has less water than chicken schmaltz. Gina Vinick is an experienced home-cook and grandmother who learned to make classic Ashkenazi Jewish fare from her mother. Her chicken soup is made with a variety of vegetables including her secret ingredient: parsley root (not parsnips!). And she swears by the convenience of using soup socks for the most perfect broth. Watch how these two soups turn out and which Jewish cook’s version reigns supreme in our video below. 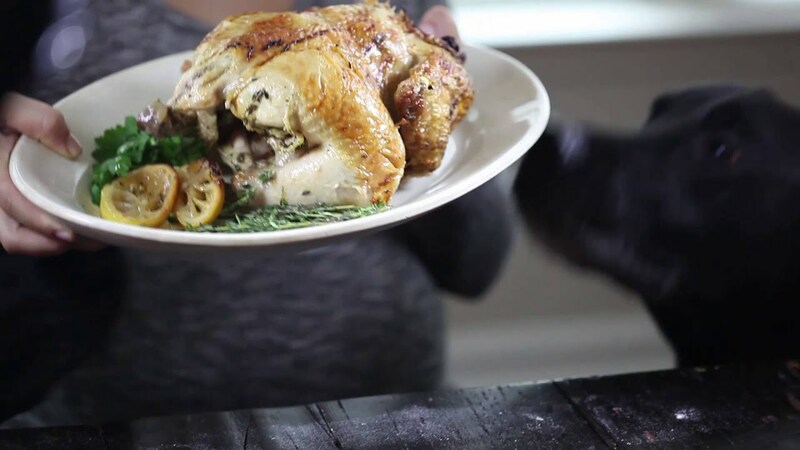 Making a simple roasted chicken is said to be a sign of a great cook.